A spectacular tropical plant. 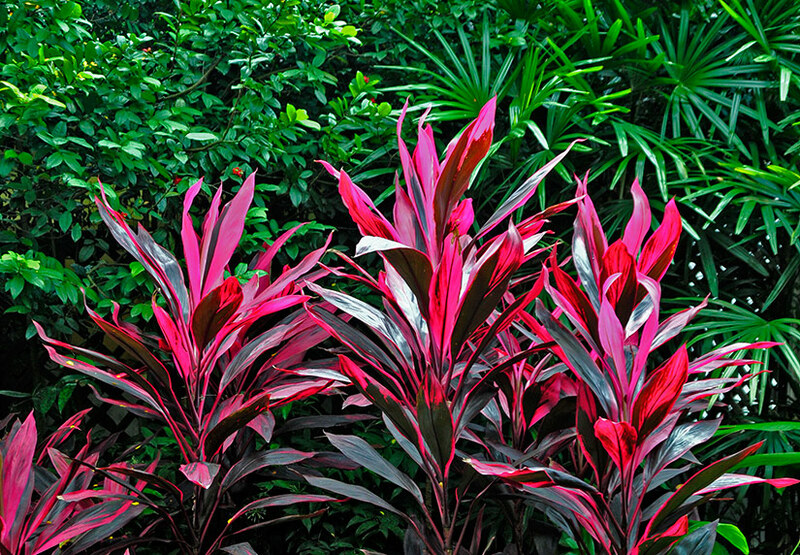 In the pacific islands, it is a culturally important plant. It has many uses there, including the making of hula skirts. It’s common name, “lucky plant” comes from the belief that planting it around your property will provide protection from Madame Pele’s lava flows. As it matures, it’s lower leaves have a tendency to drop, giving it a palm-like appearance.